Are you having trouble finding and keeping dedicated, enthusiastic, and well-prepared staff members? Do you feel stumped about how to find great teachers, and what you can do to keep them? 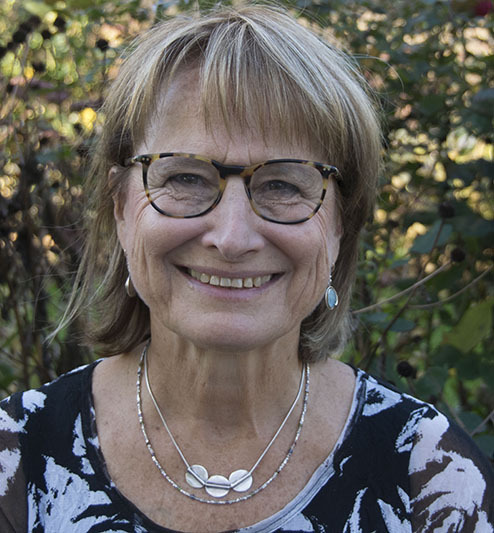 In this webinar, Katherine Falen will provide walk with you through an overview of some of your biggest staffing challenges, and some ideas for overcoming those challenges. This webinar will unique approaches to recruitment, screening, and retention practices that will help improve your odds of making what seems impossible possible. • Recruiting, screening, and hiring. Join the Office of Head Start (OHS) in this conversation about the Head Start Program Performance Standards (HSPPS). This webcast is part of a grantee series to help grantees understand and implement the standards released in 2016. Before the webcast, please read HSPPS section Family and Community Engagement Program Services, 45 CFR § 1302 Subpart E. We will also discuss sections Transition Services, 45 CFR § 1302 Subpart G; Services to Enrolled Pregnant Women, 45 CFR § 1302 Subpart H; and Human Resources Management, 45 CFR § 1302 Subpart I. The webcast will benefit an array of audience members, including Head Start and Early Head Start executive leadership, program directors, managers, and staff members. Please call in with other colleagues in your organization where possible. This registration is only valid for the webcast on Feb. 15. Space is limited. Sign up today to attend the session from your office or conference room. You will receive a confirmation email with instructions on how to join. The webcast will be accessible via computer, tablet, and other Internet-connected devices. Phone access is available for those requiring alternative accommodations. Send an email to webcasts@hsicc.org to receive telephone access. 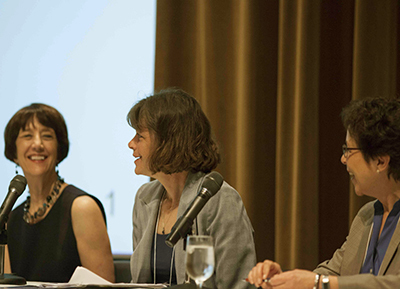 Did You Miss One?Watch previous OHS HSSPS Talks on-demand on the Early Childhood Learning and Knowledge Center (ECLKC) at https://eclkc.ohs.acf.hhs.gov/policy/presenting/webcast.Questions?Send your questions to webcasts@hsicc.org. In a time where there seems to be many negative messages in the media and beyond, we in early childhood programs experience the effects on young children. This webinar will share a variety of ideas and strategies to use in your programs that embrace a culture of acceptance and kindness. Description and examples will be given defining a classroom that embraces a culture of acceptance and kindness. Concrete strategies and ideas will be shared that participants can bring back to use in their settings. Opportunity will be provided for question/answer. Throughout the last eight years, a lot of good work has been done in schools and communities across the country. High school graduation rates are at an all-time high (83 percent! ), and the dropout rate has decreased—with all groups making progress, and students of color closing gaps. But the work is far from over. 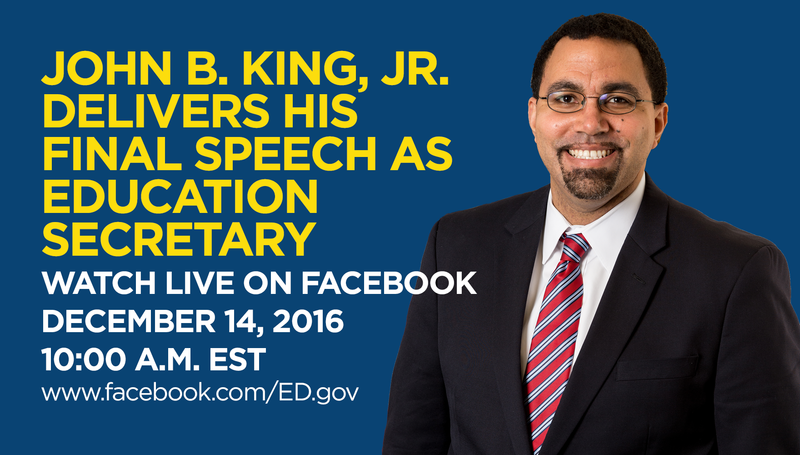 Join us at 10 am ET and watch live as Secretary King lays out his vision for the future of public education. As part of the Opportunity Across America Tour, we have crisscrossed the country this year promoting equity and excellence, supporting and lifting up the teaching profession, and giving more students access to earn an affordable degree with real value. That’s what our work is all about, ensuring a brighter future for our country. We hope you’ll join us this morning and help us spread the message far and wide. Together, we will continue to advocate for our nation’s most vulnerable students and ensure that all students get an opportunity to be successful. Let’s face it: Quality early childhood programs are expensive to operate, and the competition for enrollment can be fierce. We’re always looking for new ideas to boost our program’s revenue and make our program stand out from the crowd. Child care marketing genius, Kris Murray, will join us to help you learn the ingenuity you need to earn additional revenue and differentiate your program with solutions families will crave. How to locate resources to support your new revenue boosting campaigns.